We were happy to celebrate the Indonesian Independence Day with an Open House event at Jiwa Damai in August. We know that it has been a while, but we want to share some of the images with you! Our team and their families began to come around 11 am. 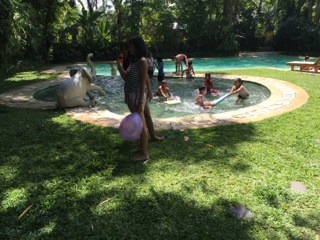 We used the pool until around 4 pm and plenty children games were organized. 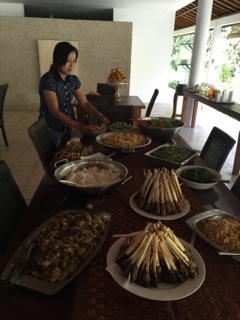 We also offered an extensive Balinese buffet, for both meat eaters and vegetarian. One of the specialties the Balinese love is the babi guling, roasted pork. On the table there was also sate, chicken and tuna on skewers, several veggies as well as much salads and desserts.